Bembas will forever be stigmatized, traumatized and shunned by society as our reputation has been dented by Mr. Lungu for branding us as thieves and will therefore seek redress from the Courts once he leaves office and his immunity lifted, together with his accomplice Sunday Chanda. At that function Mr. Lungu was invited to address a professional body and not Ukusefya pangwena and whatever he said was official, therefore forget about that nonsense of Chimbuya. There is no any justification for Mr. Lungu to insult Bembas; we are not going to be swayed by any of his paid VUVUZELAS. 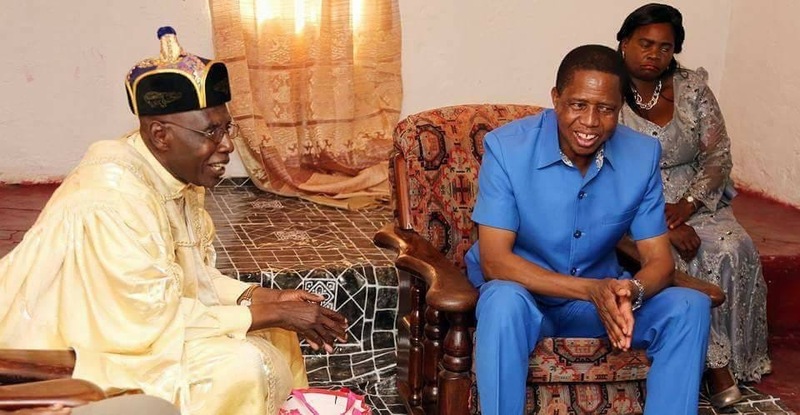 Mr. Lungu was fully aware of the presence of media organizations and therefore he was talking to the whole World and he cannot take Chimbuya to the whole World. He clearly knew what he was talking about in front of the cameras; and any further negative comments on the issue will be part of the our case. Intent to injure Bembas was there. Some people may ask why after leaving office and not now? The answer is very obvious, in Bemba we say UKWIPUSHA IMBWA NGE IFWELE. We are also aware of the fact that UMULANDU TAUBOLA. So, all well meaning Bembas must do the needful when time to vote comes. As this will be the basis on which this compensation will be apportioned. The Province that will record the highest number of votes against Mr. Lungu will get the highest percentage of compensation. It’s commonsense that all investors coming to Zambia will segregate against Bembas who have been openly and officially labeled as thieves. Even those in employment will be disadvantaged from other tribes as they will always with be treated as thieving employees. Any Bemba who is retrenched between now and before will kick out Mr. Lungu out of office will be retrenched as a result of their employers regarding them as thieves. No employer in the World can risk employing any known criminal, especially if it involves dishonest behavior such as stealing. Mr. Lungu has placed all Bembas at places of work at high risk and will suffer consequences soon. Retrenchments do not disclose the reasons for such but from my experience as a Unionist, this is an opportunity for employers to get rid of bad eggs. No employer in his normal sense would retrench a hard working and honest employee. But a suspected thief will certainly find himself on the list. It’s also true that the status of Bembas throughout the world has been gravely lowered in the minds of all normal thinking people and that the reputation of Bembas has been brought in public contempt, disrepute and odium, therefore we will Pray to the Court to compensate us for this injurious sufferings we will forever be subjected to . UPND – Chairman for Mines and Freedom Fighter.